Mr. Mohammad Omara is a semiconductors veteran with masters degree and over 15 years of technical, management and business experience working for top industry gurus in 3 different continents, from USA to Malaysia and from Dubai back to Egypt. During his career, Mr. Omara designed microchips for companies like Intel, Toshiba, Fujitsu, Mindspeed, Omron and many others. Mr. Omara received his B.Sc. and M.Sc. in Electronics and Communications Engineering from the University of Alexandria, Egypt in 1999 and 2010 respectively. He also received a post-graduate degree in VLSI and Embedded Systems from the prestigious iTi (Information Technology Institute) in Egypt in 2000. Mr. Omara worked as a teaching assistant before moving to Ellipsis Digital Systems (headquartered in San Diego, USA) early 2001. In Ellipsis, he worked with a team of highly motivated entrepreneurs and scientists from the MIT, UC Berkeley and SMU to design a wireless LAN multiprocessor chip. In 2005, Mr. Omara started his management career when he moved to Malaysia to lead SyMMiD Corp.'s team to implement their state-of-the-art wireless PAN chip. 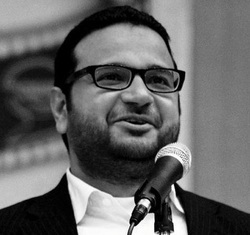 In 2006, Mindspeed Technologies hired him as a design lead for their Dubai Silicon Oasis site. In 2011, Mr. Omara founded the digital design business unit in Silicon Vision, LLC (a spin-off from Ensphere Solutions headquartered in Santa Clara, USA) and became its design manager. In February 2013, he founded XoneBee to become a unique global supplier for tomorrow's Internet of Things innovative solutions. ﻿Mr. Ahmed Alfi is a veteran investor and venture capitalist from California/USA with over 25 years of experience in top executive and management positions. Ahmed’s investment track record over the last 17 years includes the execution of numerous successful transactions in technology, Internet, healthcare and financial services at various stages of development. He has executed many rewarding exits including several IPO’s on NASDAQ. He relocated to Egypt in 2006 as the CEO of EFG-Hermes Private Equity. He subsequently founded Sawari Ventures, and became its CEO, to which he brings a wealth of experience, superb industry insight and an invaluable international network. In 2011, Mr. Ahmed launched one of the region’s best-known incubator spaces, Flat6Labs. Flat6labs graduated over 40 technology startup since incorporation. He is now remodeling part of the former campus of the American University in Cairo, the GrEEK Campus, to become Egypt’s largest technology park.